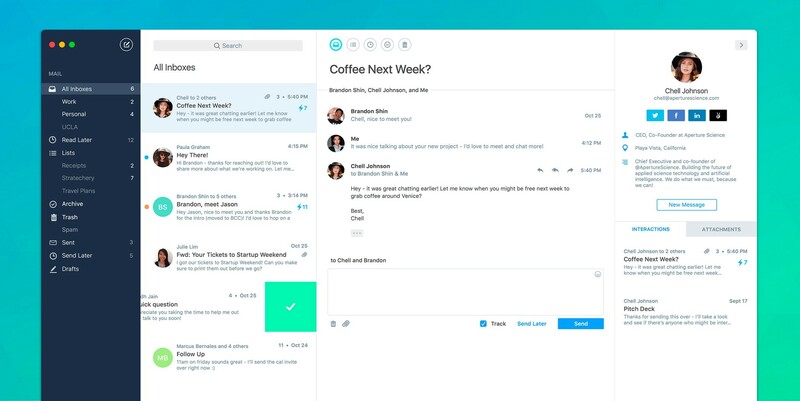 Polymail’s mission is to make email more powerful, efficient, and delightful for everyone. 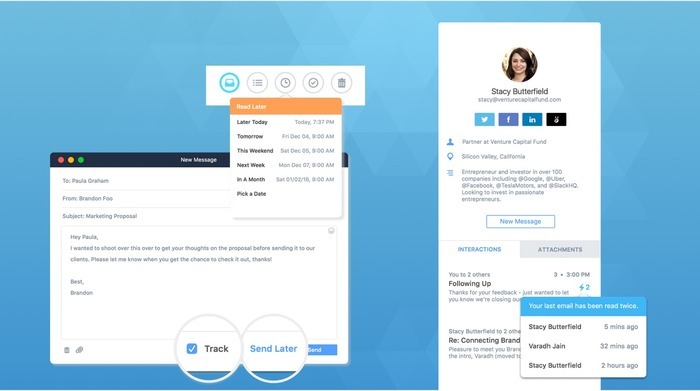 We’ve re-imagined the inbox to empower users with amazing features like email tracking, undo send, contact relationship history, follow-up reminders, and much more – all from a simple, modern, and beautifully designed interface. Polymail Beta will be launching on Mac OSX in early 2016 – sign up for early access at http://polymail.io!